Step backstage into a world of storytelling and imagination as we light your way with our signature design. Available in sizes S to 2XL and 8 different colors, our V-Neck t-shirt is 100 percent cotton and slightly fitted. 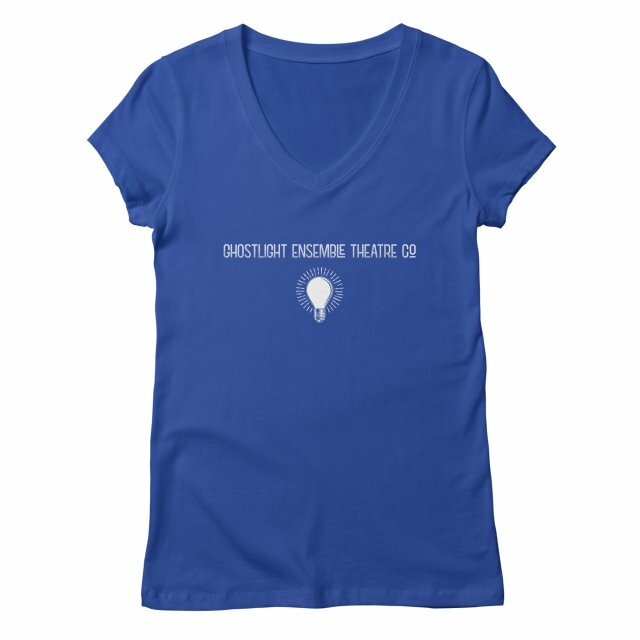 Women's shirts are also available in crew neck, scoopneck, tank tops, long-sleeves and baseball styles. Visit our artist shop for a complete selection. Our signature tote is available in three sizes: 13" x 13", 16" x 16" and 18" x 18". All totes are100% spun polyester with cotton web handles and printed on both sides, as well as machine washable. Need something bigger? Consider our Weekender bag. Available in sizes XS to 2XL and 5 colors, our Baseball Tri-Blend T-Shirt is 50 percent polyester, 25 percent cotton and 25 percent Rayon — which makes them softer than a normal T-shirt. Way softer. Men's shirts are also available in V-Necks, crew necks, tank tops and long-sleeves.